Are you on the lookout for a simple and easy-to-follow answer to the question: how to convert my boombox to Bluetooth-ready speakers? We got you covered. Like you, we also understand and appreciate the beauty that these devices bring. 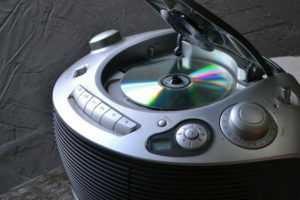 This is the reason why, in this post, we will share with you how you can bring new life to your old boombox. We can all agree that there are moments in our life that we want to re-live, not because of unfinished business and regrets, but because of the happy moments that we want to experience again. As gloomy as it may seem, this is the case with many people around the world. To make up for the lost times, what we do is hold on to things that remind us of a much simpler life. Such is the case with boomboxes and what it represents. These remarkable inventions were a big part of our society some decades ago. Today, however, they sadly lost their popularity because of the birth of mp3 players and the iPod. Heck, even these are becoming obsolete because we can now store everything and anything in our smartphones. 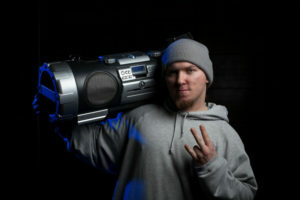 So, What is a Boombox? 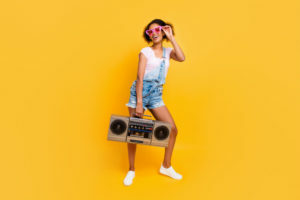 A couple of decades ago, boomboxes were a big hit among music lovers of any genre, age, and race. This device is a portable radio and audio player combined into one battery-powered system. It was widely used in the streets by hip-hop dancers, at restaurants to set a romantic ambiance, and inside every house to bring life and joy to afternoon parties. 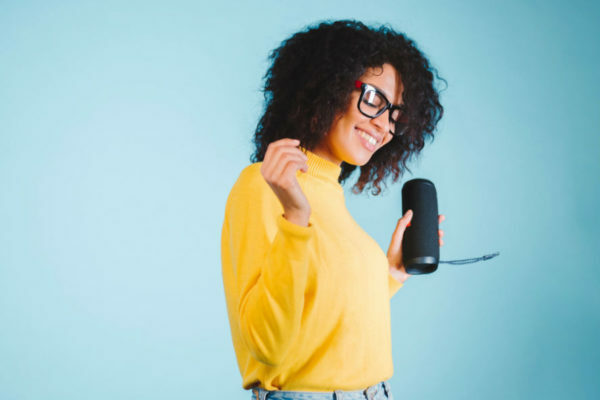 However, the rapid advancement in the modern audio equipment today resulted in the disappearance of old technologies such as the boombox. 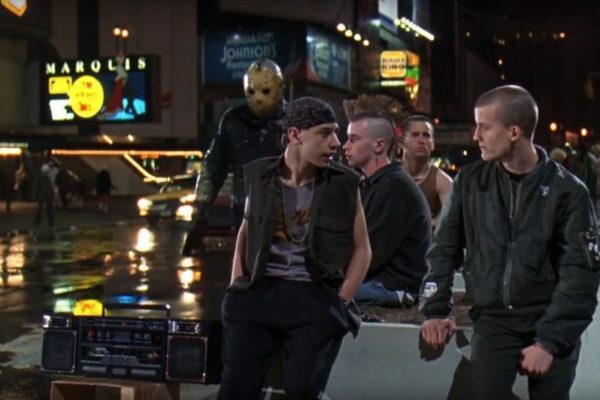 This is the reason why today, many of us are left with boomboxes forgotten and safely tucked away in storage sheds or attics. Some may still work, but there aren’t really any more cassette tapes being produced to use it with. Still, it is not wise to throw away something that still functions. So, what to do with it? In today’s modern times, almost everything runs on a wireless connection. And believe it or not, it can also be done to your old boombox. Read through the step-by-step guide below and allow us to share with you how to convert an old boombox into a Bluetooth-ready speaker. 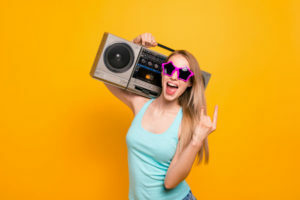 If you have the basic knowledge of electronics, you can easily follow the steps below to add a Bluetooth technology to your outdated boombox. 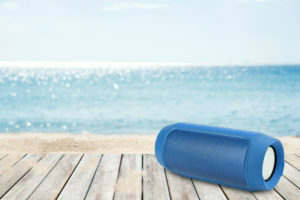 In this way, you will have saved yourself from buying a new set of Bluetooth speakers, where some models cost hundreds of bucks. For this project to start, you would need to take apart your old boombox. Remove the screws and carefully open the device. Inside, you will find a pair of speakers attached to the front part of the boombox, the power supply, the driver, the amplifier board, and the radio board. Familiarize yourself with these parts and where each one is located so as to make sure that you can reassemble it and put every piece back to where it is originally placed. You can take pictures or a video to ensure that nothing gets misplaced. Inside, you will find the transformer, which is responsible for decreasing the high voltage AC into the acceptable level for the boombox—9 volts. This transformer is attached to the diode rectifier, converting the AC into 9V DC. The diode rectifier is connected to the radio board, the amplifier board, and the driver. The radio board is the brains behind the radio function. 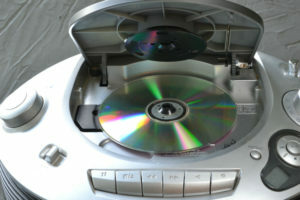 The driver, on the other hand, is the mechanical system that controls the cassette tape, while the amplifier board controls the volume of the output. This board is then attached to the stereo speakers. Take the board from inside a Bluetooth module and find out what voltage it runs in. If it runs on a 5V DC supply, then you would also need to install a mini voltage regulator to make it compatible with the voltage of your boombox, which is at 9V DC. Attached the Bluetooth module to the voltage regulator and then connect the regulator to the diode rectifier. These can all be done through soldering. Be careful when using the soldering iron as these wires are extremely easy to break. Your overall board should have only five working parts, which are: the amplifier board, the Bluetooth module, the power supply and regular, plus the stereo speakers. Carefully, connect all of these parts together using a soldering iron. The diode rectifier’s output should be connected to the input of the voltage regulator. Its output, on the other hand, should be attached to your Bluetooth module. Once this is done, connect the Bluetooth module speaker output to the amplifier board’s input. Lastly, make sure that you short-circuit the SW pin connection. 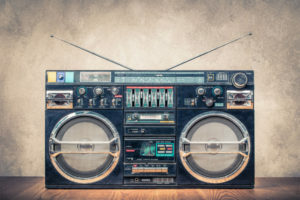 Check all of the connections and make sure that everything is secured in place before you reassemble the boombox. 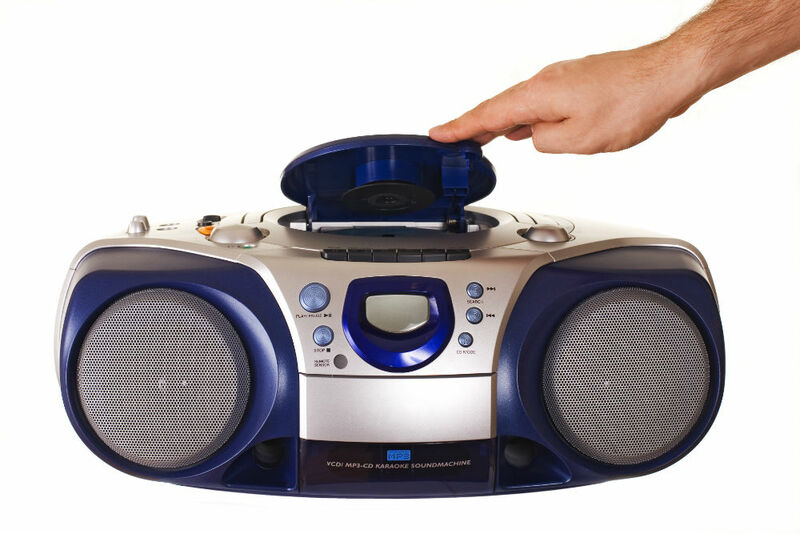 Once done, you can plug it in and enjoy your new Bluetooth-ready boombox speakers! At the beginning of this article, we tried to answer the question: how to convert my boombox to Bluetooth-ready speakers? Above, we have provided you with easy, step-by-step instructions you can follow. Tinkering with old devices such as a boombox and giving them new life is a hobby that a lot of people enjoy. We hope that this is not the first time that you would try to revive an old, beloved equipment instead of just throwing it in the trash. In this way, you can help save a dying piece of remarkable invention, while also being able to create something that can easily be the talk of your group’s next get-together. Aside from boomboxes and cassette players, there are more devices you can tinker with and give new life to. All you have to do is find new and exciting ideas on how to reuse and recycle stuff that you already have in your storage attics or sheds. Good luck!